North and South Korea differ on Christmas tree decoration. When putting up a gigantic, megawatt Christmas tree in your front yard you might want to consider your neighbors. A jumbotron of Christmas lights beaming through the windows of the house next door isn’t particularly neighborly, after all. If you’re South Korea and the neighbor in question is North Korea, things get a bit more complicated. 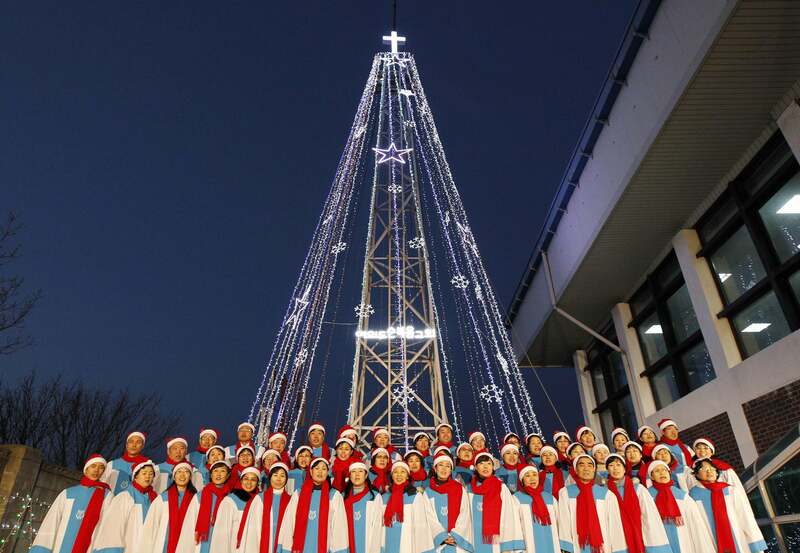 On Tuesday, the South Korean defense ministry gave the go-ahead to a Christian group to build and light a 30-foot Christmas tree–like structure on top of a hill near the North Korean border. Seems pretty innocuous. It’s not like a 30-foot tree is visible from outer space. The only problem: North Korea isn’t that into Christmas—at all. In fact, in the past, “Pyongyang, which views religion as a threat to its leadership cult, issued frequent objections against ‘the tree,’ calling it a tool for psychological warfare and threatened to fire artillery at it,” the Wall Street Journal reports.